The Rwandan genocide was the tragic culmination of decades of tensions, violence and repression. The global community remains focused on responding to crises rather than preventing them. A new bill would help the U.S. government stop smoldering tensions from erupting into full-fledged atrocities. It was April 1994 in Rwanda, and I was a 14-year-old boy running for my life. While neighbors and strangers helped save my mother, sisters and me, I can still hear the screams of family members and neighbors who were either hacked to death with machetes or killed by bombs and bullets raining on us like a tropical storm. At the time, we hoped the screams would be loud enough for the whole world to hear. However, the world did nothing until the killing was over. The Rwandan genocide did not happen in an instant. Rather, it was the tragic culmination of decades of tensions, violence and repression. It was much deeper than Hutu versus Tutsi ethnicity — it was about unresolved grievances and about ignoring the clear warning signs that violence was on its way. A four-year war for control of the country that had displaced more than 1 million people was a clear sign of more violence to come — the genocide could have been prevented. Twenty-two years later, we found ourselves marking the annual tribute to the victims of Rwanda during Genocide Awareness Month in April. We know now more than ever what the lead-up to mass violence and the outbreak of mass atrocities looks like. We also know how the effects ripple out to the whole world, including the United States, where I moved as a refugee in 1995. And yet the global community, including the United States, is still very much focused on responding to crises rather than preventing them from breaking out in the first place. As overwhelming as genocide prevention sounds, something can be done. Right now, the U.S. Senate is considering the Genocide and Atrocities Prevention Act (GAPA), a bipartisan bill that would allow the U.S. government to respond quickly and efficiently to the warning signs of violent conflict. Our own Sen. Bob Corker is chairman of the Senate Foreign Relations Committee, which has jurisdiction over this bill. Senator Corker has been a champion of a strong U.S. foreign policy and national security and should work to pass this bill out of his committee and send it to the full Senate for a vote. If passed, GAPA would establish a framework for government agency coordination, training and flexibility that is crucial to stop smoldering tensions from erupting into full-fledged atrocities. GAPA would help ensure the U.S. government takes prevention seriously, and it would save taxpayer dollars, save lives and bolster U.S. national security interests. However, this is about more than just preventing atrocities or the outbreak of mass violence. By focusing energy on preventing global violence instead of responding to it, we can keep more American soldiers and peacekeepers safe at home rather than immersed in violent conflict. Every day, I live with the screams and cries for help of Rwandan genocide victims. So do other survivors of mass atrocities, like my friends from the Democratic Republic of Congo, who suffered through a preventable war born out of the Rwandan genocide that devastated that country and took more than 6 million lives. We can’t change decades-old failures, but we can work to end the screams of mass atrocities and genocide happening around the world right this very minute. We may never be able to completely prevent every outbreak of mass violence in the world. But if one fewer person is exposed to the aftermath of atrocities and mass violence because the right actions created a peaceful solution rather than a violent one, then the Genocide and Atrocities Prevention Act is a strategy worth investing in. 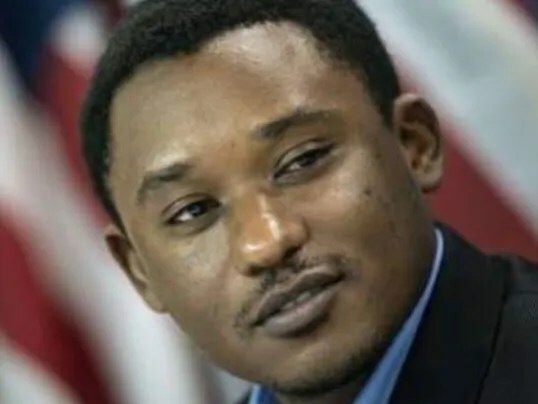 Claude Gatebuke is a survivor of Rwandan war and genocide, and is executive director and co-founder of the African Great Lakes Action Network (AGLAN) in Nashville.